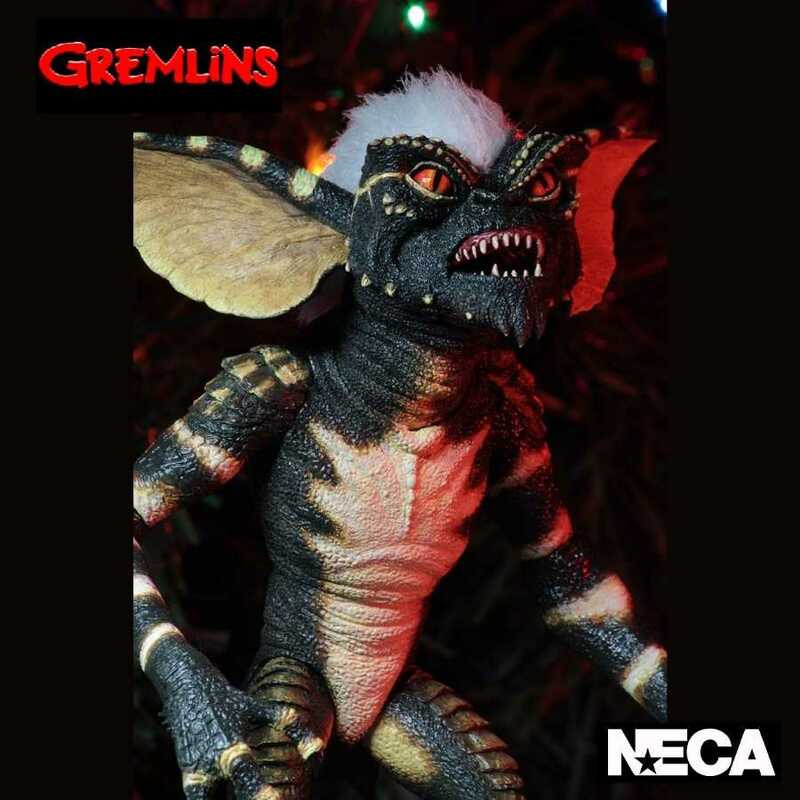 From the NECA range of Ultimate figures, we introduce Stripe based on the mischievous leader from the 1984 horror film Gremlins. 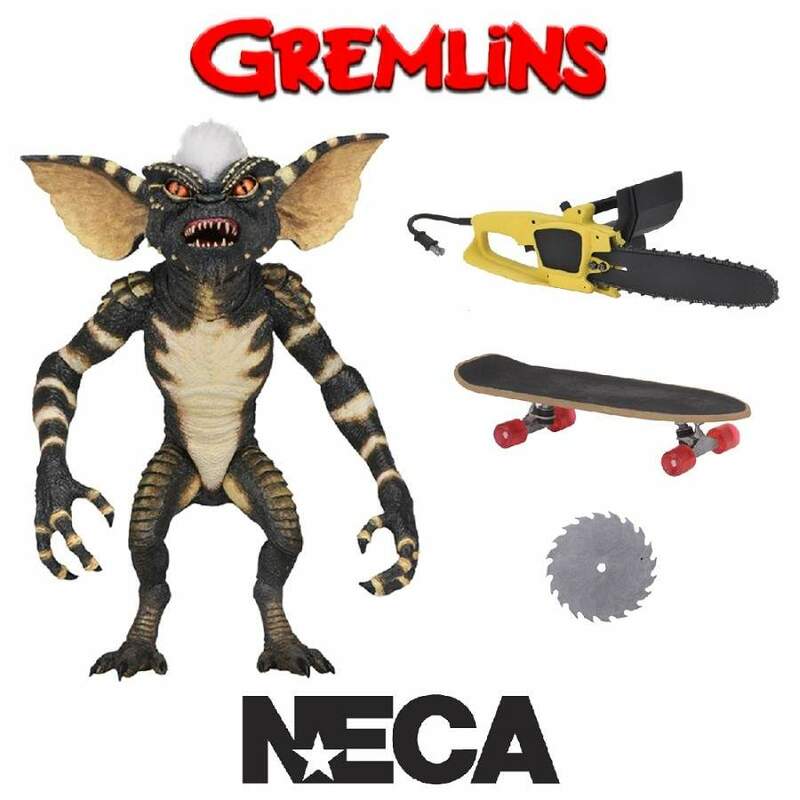 We are proud to bring you this Ultimate Stripe Gremlin from the original 1984 Gremlins movie! 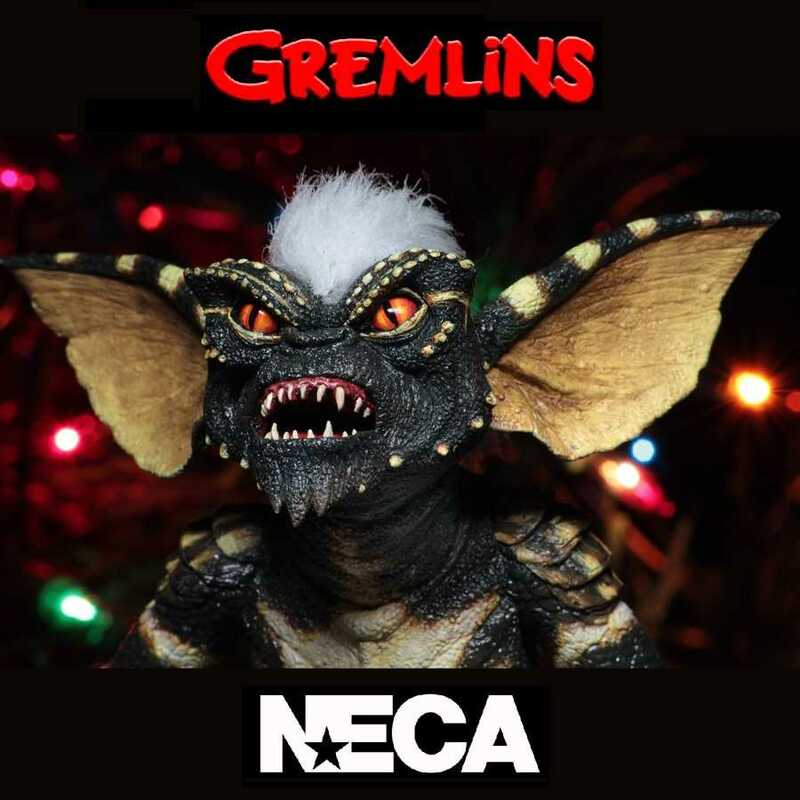 If your a fan of the Gremlins movies, then you know the three basic rules, which are to keep them out of sunlight, don’t get them wet, and never feed them after midnight. 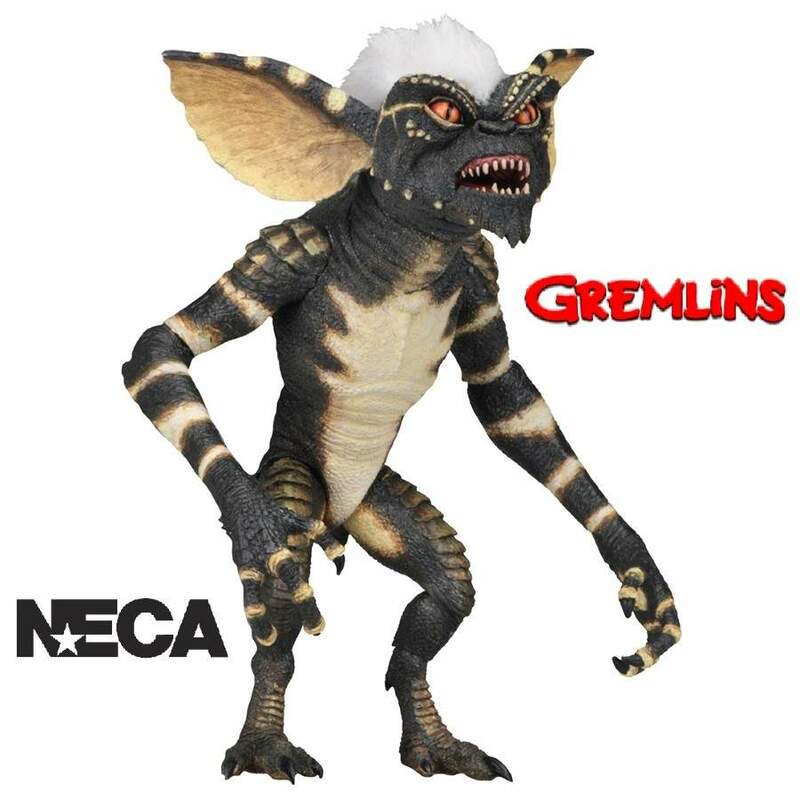 Follow them and you’ll enjoy a cute and friendly little Mogwai… Fail, and you’ll be faced with some pretty dangerous characters, like Stripe, the leader of the evil Gremlins. 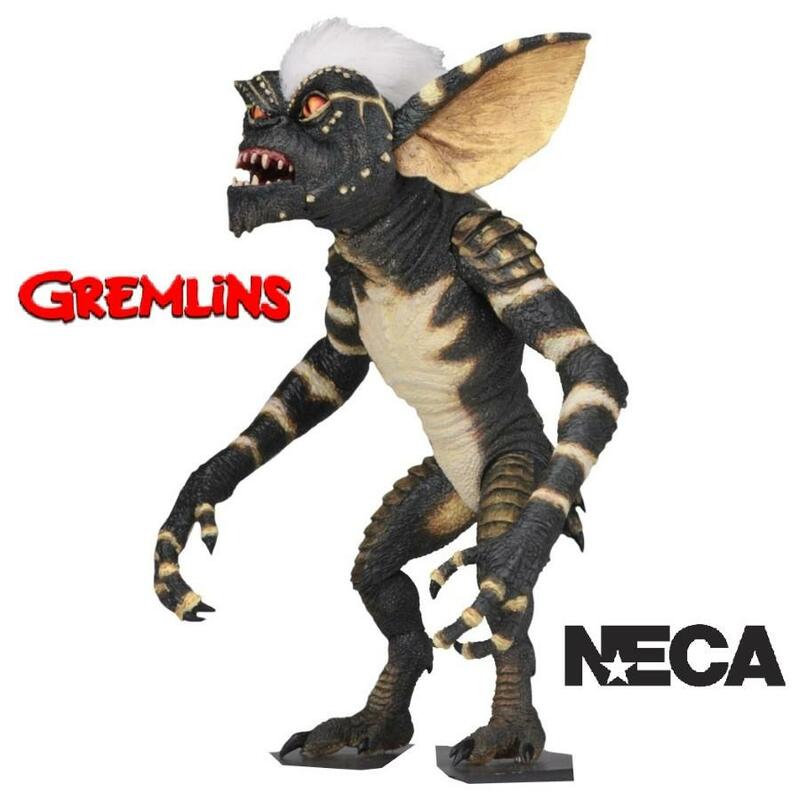 This Ultimate 7” scale figure that stands at approximately 6” tall and features a new head with Stripe’s signature white mohawk and an all new body with over 25 points of articulation, including ears and jaw.